Where to drink, dine, and relax in America's best wine region. The Napa Valley Wine Train Stops At Grgich Hills Estate. Napa and Sonoma feel lost in time, something of an adult playground where (as long as you're 21) you can indulge in all of the culinary and oenophilic delights you can handle. And while wine and food are the region's main draws, events like BottleRock, an annual music and food festival (at which Snoop Dogg rolled sushi with Iron Chef Masaharu Morimoto a few years back) and the Napa Valley Film Festival prove the region continues to define itself as a must-visit destination. 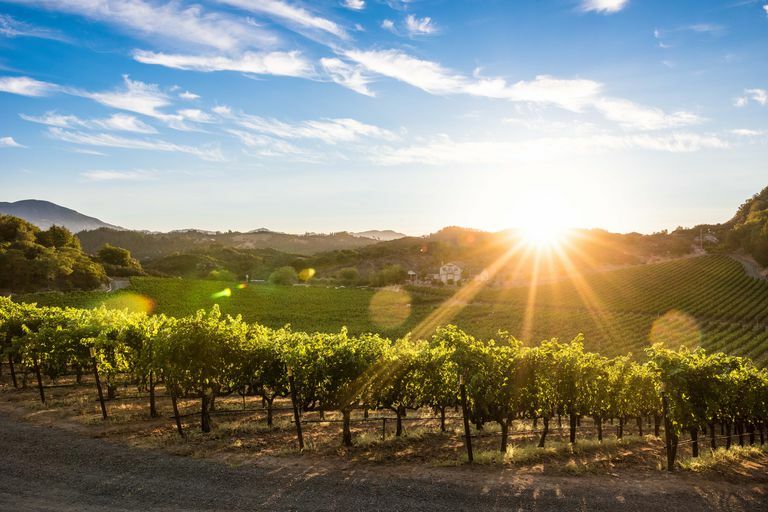 From Carneros and Napa to Healdsburg and Calistoga, these laid-back towns offer not only scenic beauty, but also the restorative ability to make the real world feel ages away. Here, a glass of red wine made from grapes grown just outside the restaurant can be the ultimate cure-all. Miljenko ("Mike") Grgich was the winemaker who created the 1973 Chateau Montelena Chardonnay that won the Judgment of Paris. Grgich's bottle and beret are now in the Smithsonian, and this year, visitors at the winery can sample a 40th-anniversary offering crafted to resemble the vintage that put Napa Valley wines on the world stage. Also, during harvest season visitors can stomp grapes in a barrel at the winery, which Grgich himself did starting at age three when he was growing up in Croatia. Don't worry—the juice and stomped grapes are used as compost in the vineyard afterward, not for wine.